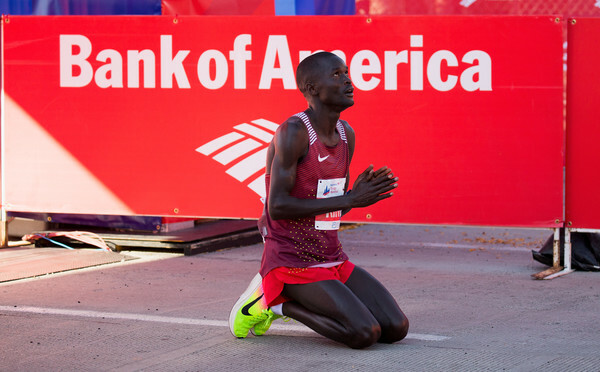 Coming into the 2016 Chicago marathon, not much was expected from Abel Kirui. After winning the world championships in 2009 and 2011 and the Olympic silver medal in 2012, Kirui’s career had hit a rough patch. He never finished better than fifth in any marathon since his Olympic silver medal. But Kirui who is an Administration Policeman, had to dig deep to win in Chicago. With 10 kilometres to go Sunday, Kirui was in a four man battle with compatriots Gideon Kipketer, Paul Lonyangata and defending champion Dickson Chumba. With three kilometres to go, the battle had been reduced to Kirui versus Dickson Chumba. Kirui made his move with 800m left, digging deep to beat Chumba by three seconds. Kenyans occupied the top five positions. This entry was posted in Kenya Athletics News, Kenya Sports news and commentary and tagged Abel Kirui, Chicago marathon, Kenhyan runners, Kenyan marathoners. Bookmark the permalink.